Summer is here and it's time to prevent your vehicle from the harsh elements of the desert and the sun. How can you do this? Simple. Ceramic Pro. 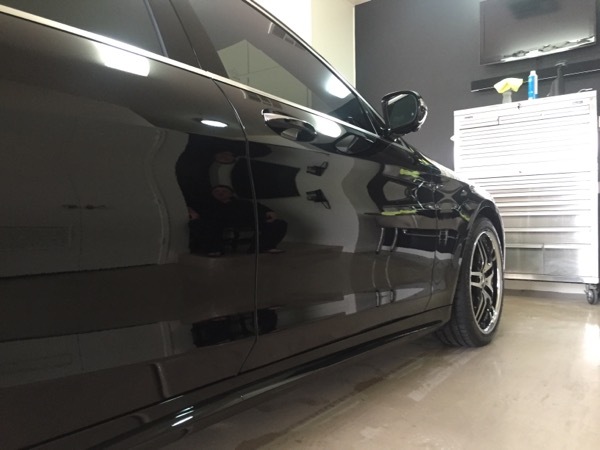 Ceramic pro is the leader in the protective ceramic coating industry. From industrial uses to automotive, you can ensure that once applied, your vehicle will be protected from paint failure, oxidation, and damage from the sun. Ceramic pro also protects against water spots, bird droppings, gum, tar and even road paint. Aside from the protective features, ceramic pro adds an extremely rich gloss and luster to your vehicle's finish. Contact the number one detailing company in Arizona, Detail Boss. We are a passion driven business run by enthusiasts, for enthusiasts. Yesterday we received a phone call from a client of ours to detail a custom chopper built for the winner of the Indianapolis 500 race in 2004. This bike sat in storage for some time before we got our hands on it. After doing a thorough wash to remove major grime and dirt, we pulled it in to get a closer eye on what mattered: the details. With steam and various products, we cleaned every nook and cranny of the engine, wheels, calipers, and handle bars that we could, making the chrome shine like-new. We also polished the gas tank along with the front and rear fenders to remove minor surface scratches, leaving the air brushed artwork nearly flawless. This is our Deluxe package for custom choppers. A couple hours later, this custom chopper didn't even look like the same bike.